All You Need to Know about Remanufactured Drum Cartridges | TonerGreen - Eco-Friendly Toners from the U.S. When owning a laser printer, you need more than just laser toner cartridges to do your printing. You must also supply your printer with a drum cartridge since this can be considered the heart of your machine and its printer cartridges. But what if you decide to use remanufactured drum cartridges since these are known to be more affordable? Will it work harmoniously with your printer and its parts? First of all, let me tell you that a remanufactured drum cartridge is just the same as any other drum cartridge out there, except for the fact that this is made of recycled parts and the price is way lower than the original ones. 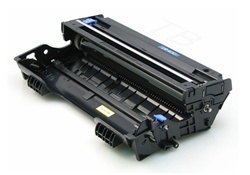 Also, remanufactured drum units can double your savings since you do not have to frequently replace it when you run out of remanufactured laser toner cartridges. Unlike inkjet cartridges that we all know require the constant replacement of all ink cartridges when they’re empty. The maintenance of a drum cartridge is very easy too. All you have to do is change the laser toners when these are already used up then check your manual for added tips on how you can easily disassemble then reinstall your drum unit after placing all the needed toners. With everyone looking for different ways to save money, even on their printing expenses, you should not miss the chance of using remanufactured drum units and laser toners for your laser printer since you will surely benefit a lot from these third party printer supplies.